In a grab-bag installment of The iTunes Guy, I look at how to ensure that tags and metadata get retained when you re-rip CDs, how to deauthorize computers for iTunes Store accounts, and how to change the name of your iTunes library for Home Sharing. Q: I have a standard-quality MP3 album on my Mac that I’ve listened to for several years, added lyrics to, and so on. Now, because I discovered the Apple Lossless format and still have a CD of that album in my house, I would like to rip the CD again in higher quality. 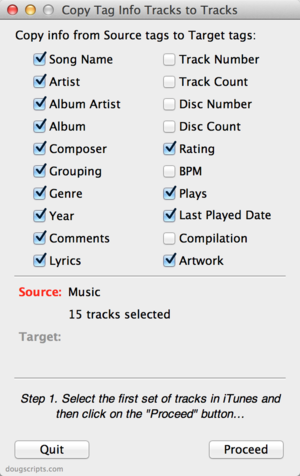 However, I don’t want to lose any of the metadata, because I have smart playlists that rely on the songs’ play count. Is it possible to do this without too much hassle? It is. There is an easy (mostly reliable) way and a slightly more complicated (but better) way. With this AppleScript, you can copy tags from older rips to newer, higher-quality rips and not lose any metadata. The first method is to launch iTunes, insert the CD into your drive, and then check to see that all the tags—Album, Artist, Album Artist, Name, Genre, Composer—are exactly the same as yours. When you rip the CD again in Apple Lossless format, iTunes will ask if you want to replace the existing tracks. When it does so, it will keep your other tags, such as album art and lyrics, and iTunes-specific metadata, such as Last Played Date, Plays, Rating, and so on. However, in my experience, this method is hit-or-miss. The second solution, which involves a few extra steps, always works for me. Begin by putting the MP3 files you plan to replace in a new or existing playlist. Now insert the CD in your drive, select it in iTunes, create another new playlist (or use another existing empty playlist), and drag the tracks from the CD’s window in iTunes to that playlist. Import the CD, and you’ll have two copies of the tracks: MP3 files in the first playlist and Apple Lossless files in the second. Now download Doug Adams’s Copy Tag Info Tracks to Tracks AppleScript (donation requested). Select the first group of tracks (the MP3 files), and then launch the AppleScript. Put a checkmark next to each of the tags you want to copy (such as Plays), then click Proceed. Select the newly ripped (Apple Lossless) tracks and click Proceed again. The script will copy the selected tags to the new files, overwriting any tags they have. Check the new files to make sure the tags and metadata are correct, and then delete the old files if you want to. 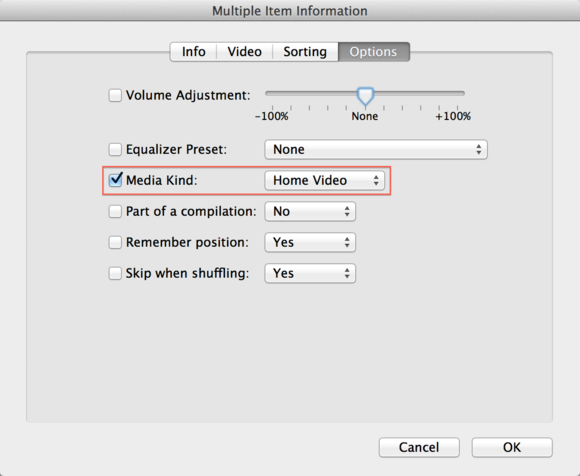 Q: How can I transfer my movies to the Home Videos section of my iTunes Movies library? In the older version of iTunes, there was no option for home movies. Now there’s one for both regular movies and home videos. My home videos are in the Movies section, and I’d like to move them to the Home Videos section. This is quite simple. Select all the movies you want to change in iTunes, press Command-I, and click the Options tab in the Multiple Item Information window that appears. In the Media Kind pop-up menu, choose Home Video. iTunes will then move all those files to the Home Videos library. The Media Kind menu lets you change which library a file is stored in. Q: How do I deauthorize an iTunes account on a computer I no longer have? My old laptop doesn’t work, so I junked it, but I forgot to deauthorize my iTunes account on it. Go to the main screen of the iTunes Store, and click Account under the Quick Links header. Enter your password where it’s requested, and you’ll be taken to your Account Information page. Look in the Apple ID Summary section at the top for Computer Authorizations. You’ll see how many computers are authorized. There’s no way to deauthorize a specific computer here, but you can click Deauthorize All to remove all of them. This is especially helpful if you sold or gave away your older computer and are worried someone might—inadvertently or otherwise—access your iTunes Store account. (Note that this option is available for you to use only once per year, and you won’t see it at all if you have fewer than two computers authorized.) Or if you’ve used fewer than the five total authorizations on your account, you can always just do nothing for the time being. Once you deauthorize everything, you’ll need to reauthorize each computer that you currently use. 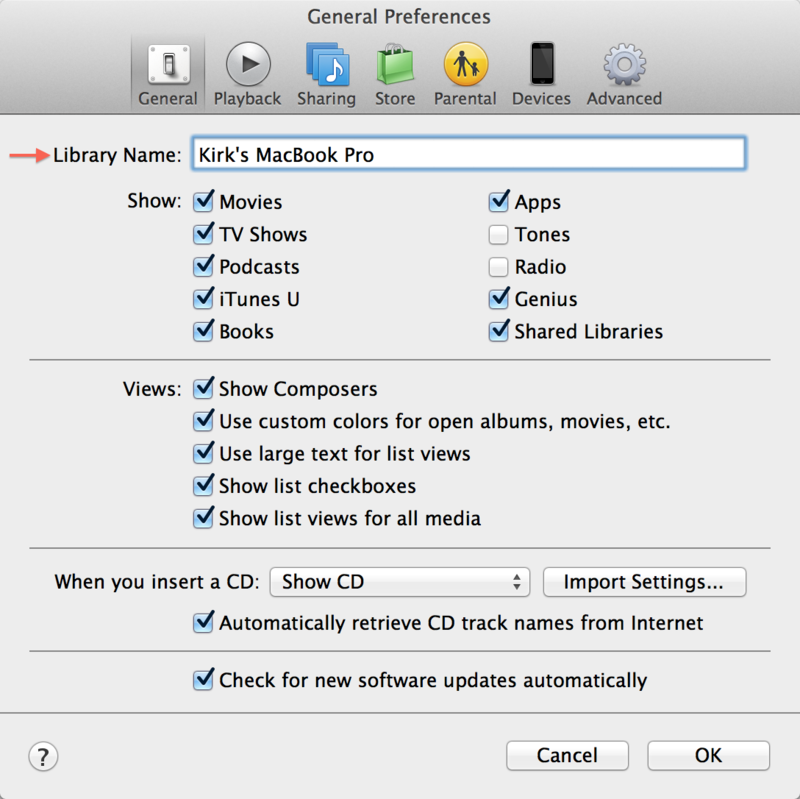 You can do so in iTunes by going to Store > Authorize This Computer or by attempting to play any iTunes content with digital rights management (DRM)—such as videos or older iTunes music files. iTunes will then display a dialog box asking you to enter the password for that item’s Apple ID. Q: I recently used Migration Assistant to move my files to my new iMac. I’ve noticed that while everything works great, including Home Sharing, the name that pops up on my devices while I’m accessing Home Sharing is still that of my old Mac, even though the one doing the sharing is definitely the new one. The hard drives have completely different names. Obviously, this is a minor concern, since everything is still working perfectly, but it’s driving me crazy trying to find the little preference I didn’t switch. Any ideas on how I can change this? Yes, although the setting isn’t where might expect. If you open iTunes’ preferences (iTunes > Preferences), and click the Sharing tab, you’ll probably expect to see the name of your library there (in fact, I think it used to be there, in earlier versions of iTunes). But it’s not there. Click the General tab instead, and you’ll see the library name. Enter a new name here and click OK. 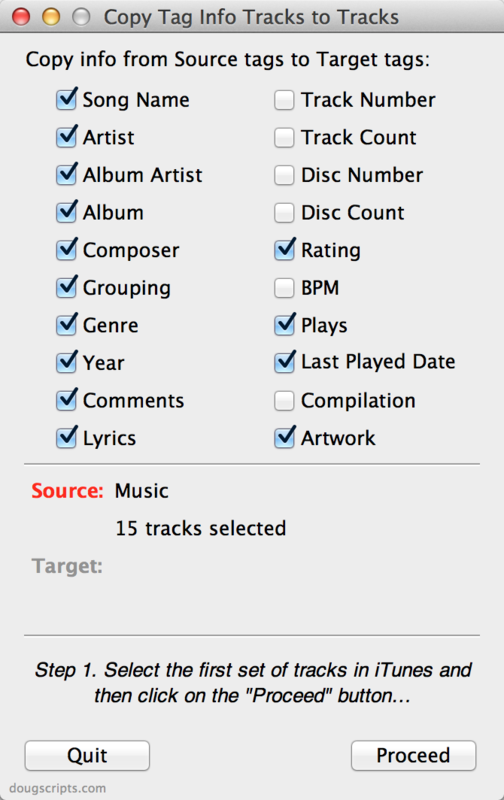 The General preference pane has a field where you can name your iTunes library. Note that this is not the name of your Mac, as defined in the Sharing pane of OS X’s System Preferences. 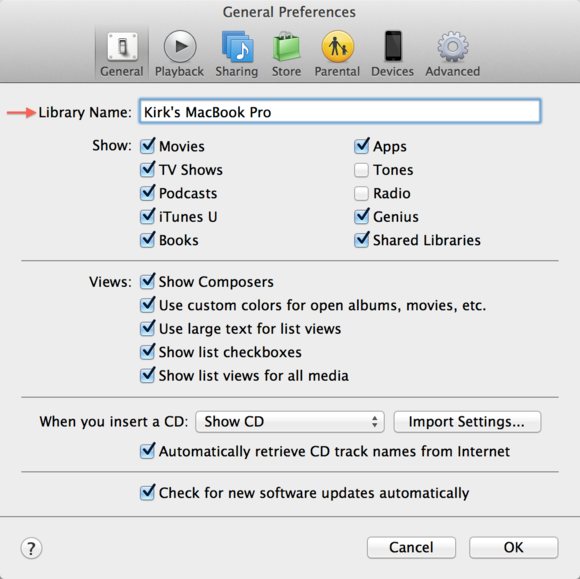 If you wish, you can use the same name, but iTunes picks the user’s name—Kirk McElhearn’s Library, for example—by default to distinguish among what may be several libraries available on a Mac with multiple users.